Moist Diane, Japan’s leading silicone-free haircare brand, has combined the wonders of nature and the powers of science to launch its new Perfect Beauty series, a renewal of their signature Argan Oil series. 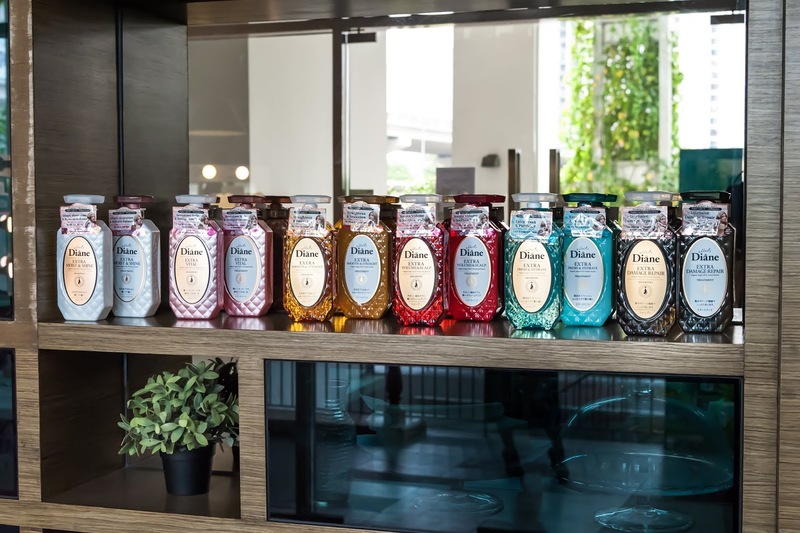 Since the launch of the range in September last year in Japan , a million bottles were sold in just ten days! A renewal of their signature Argan Oil series, the new mega launch comprises six shampoos and six treatment products that are enriched with Organic Moroccan Argan Oil and Customised Beauty Keratin to address different hair concerns of Asian women. “We are pleased to have one of Japan’s most sellable brand in hair care available at Watsons. At Watsons, we constantly pay attention to the needs of our customers and one of the top concerns of our customers are getting the right hair care treatment. With a vast number of brands available to address hair care needs, it is important that our customers can differentiate which hair care brand would meet their specific needs. Moist Diane’s new Perfect Beauty range addresses the needs and requirements of Asian hair, where our environment tends to cause the build-up of sebum on our scalp, causing oily, dull, limp or less-than-beautiful hair. With the innovative formulation from Moist Diane which is not chemically harmful to the hair, our customers will be able to choose from a vast range six shampoos and six treatment products that suits their hair care needs. 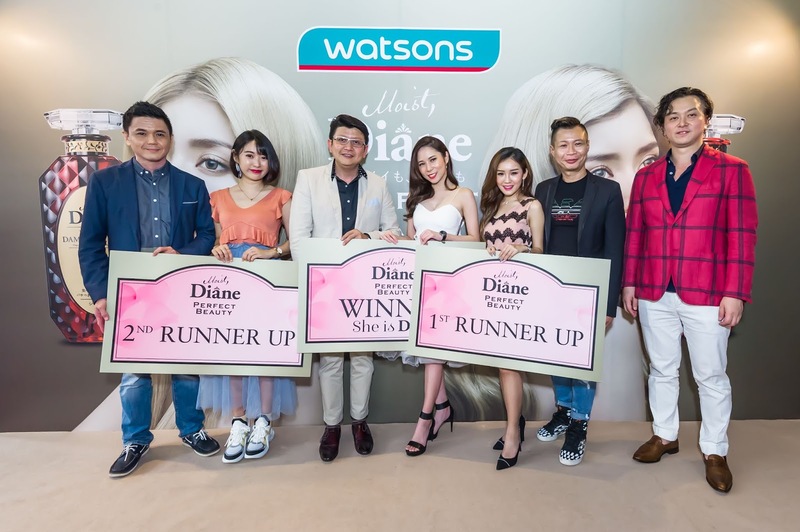 It is no doubt that when your hair looks good, it personifies inner confidence and we standby with Watsons motto of “Look Good, Feel Great”, said Caryn Loh, Managing Director of Watsons Malaysia. The new Perfect Beauty series by Moist Diane consists of six shampoos and six treatment products that target different hair types and concerns of Asian women. Other than being siliconefree, the newly formulated series is colour-safe and sulphate-free (except Extra Fresh variant). In addition, all the products are enriched with the goodness of ECOCERT certified Organic Moroccan Argan Oil and customised with Beauty Keratin in an elegant and pretty pump packaging designed with the brand’s trademark diamond shaped pattern that resembles a luxurious fragrance bottle. 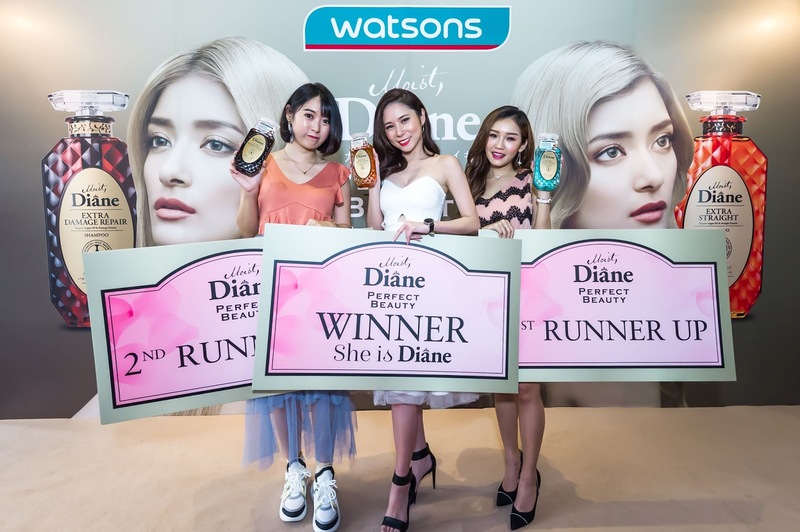 “We are grateful to be able to launch Moist Diane in Watsons. As we all know, Watsons is rated as Asia’s No. 1 Health and Beauty retailer, we have trusted and valued Watsons support for the brand. When we first launched Moist Diane Argan Oil Shampoo series back in 2015, our distribution in Watsons started at just 180 stores. As of today, we have expanded to more than 450 Watsons stores nationwide. I am excited to announce the new series of Moist Diane - the Perfect Beauty range, the renewal of the signature Moroccan Argan Oil series”, said Dexter Lee, President of Mandom Malaysia. During the Moist Diane Perfect Beauty media launch event at the Forum, KL, the winner of “She Is Diane” was selected among social media influencers who had participated in the “search” where each influencer had to upload at least two Instagram postings of them participating in a positive passionate cause, for instance, volunteering in charitable, environmental and educational causes after they have used the new Perfect Beauty range by Moist Diane, within a time period of ten days. They were then required to share with their fans on what it meant to have ‘Perfect Beauty’ – beauty that is inside and out. During the event the contestants had to introduce themselves to the panel of judges done in a catwalk style, holding a placard that represented their passion for their personal cause and also revealed the product from the Perfect Beauty range that they had used. The aim of the “She Is Diane” search was for inner beauty, strength and the free spirit that embodies the brand. The winner of the search will walk away with products worth RM2000, RM1000 and RM500 respectively for First, Second and Third Winner, while the rest of the contestants will receive consolation prizes worth of RM100 products each. The event was launched by Dexter Lee, President of Mandom, Shinichi Takata, Senior Executive Director of Mandom, Tiger (Mr. Keigo Hishiya), Managing Director of Naturelab, Claire Shih, Overseas Marketing and Sales Director of Naturelab, Danny Hoh, Customer Director of Watsons Malaysia and Thoren Tan, Trading Director of Watsons Malaysia, with members of the media and the blogger community. A Moist Diane product information sharing session was also held as part of the event, where Tiger (Mr. Keigo Hishiya), gave his insights on Moist Diane products to the attendees. 2. Nano Repair EL – a unique ingredient that is activated by heat from the hair dryer. Once it detects the heat, the Nano Repair EL penetrates into the hair shaft to boost hair elasticity, radiance and resilience giving supple hair! 3. Moist Diane Original Gentle Cleansing Complex – this cleansing system gently cleanses and rejuvenates the hair without any burden. In addition, it helps to removes impurities and dirt from the hair and at the same time, providing care for the hair with its rich lather. To ensure that all the ingredients used are of the best quality and give glowing results to users of the Moist Diane Perfect Beauty series, numerous rounds of stringent tests, such as Hair Damage Test, Hair Smoothness Test, Hair Lustre Test, Hair Manageability Test, User Satisfaction Test and Hair Strength & Elasticity Test, were conducted prior to its launch. Moist Diane is exclusive available at selected Watsons stores nationwide.